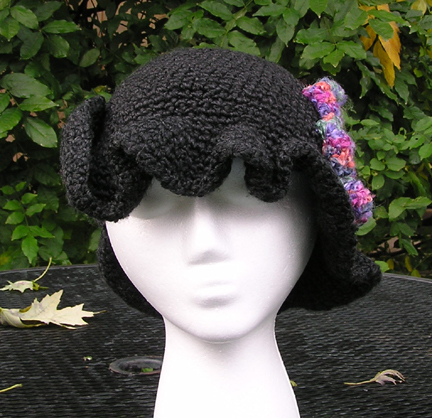 The hat is made with a soft textured black yarn. 98% acrylic, 2% polyester. 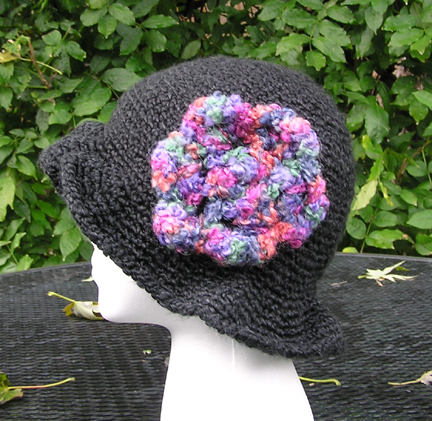 The flower is crocheted with a boucle yarn. 79% acrylic, 20% mohair, 1% nylon.